PayPal, the smart choice for business. Whether you’re looking for a complete payments solution or want to add PayPal as an extra payment method to your existing website, we have a smart solution that’s right for your business. Get paid however you do business. Accept PayPal and card payments on your website, from using checkout buttons to our fully customized online solutions. 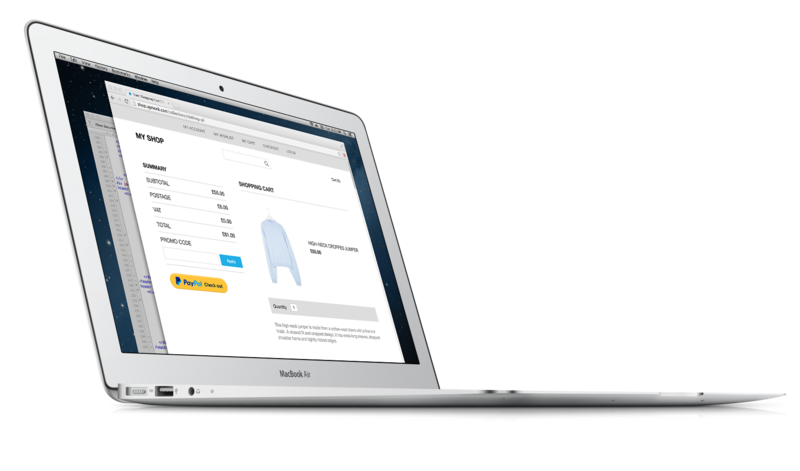 Create and send customized invoices using our free templates. Customers can pay easily in just a few clicks. 15 million merchants prefer PayPal. Our solutions are designed for conversion and are mobile-ready with no additional integration. Unlock your e-commerce potential and reach up to 87.5%1 conversion at checkout. Sell to clients in more than 200 countries in 25 currencies.3 Accept most of foreign payment cards without additional integration or paperwork. Payments show up on your PayPal balance after a few minutes. You can then transfer the money to your bank account, or spend it straight from your PayPal balance. Our products are very simple to integrate; we’re already installed in most e-commerce solutions and shopping carts products. And for specific needs, our experts are here to help. Your safety is our priority; our fraud prevention system analyzes every transaction and our specialists are available anytime to help you with your transactions. Open your business to millions of PayPal active shoppers around the world. We're available in 202 countries and markets and 25 currencies. Currency conversion fees may apply. 1 Rate when using One Touch™ within a study : comScore Q4 2015. US Panel. 3 Currency conversion fees may apply.